Connection between Operator Client and DiBos DVRs (uses DCOM) TCP Port 135 plus four TCP ports and four UDP ports dynamically assigned in the range from 1025 to 65535 These ports are also used when Management Server and an old DiBos 8.9 or earlier without patch are connected. Management Server Redundancy Available with VMware HA. Please contact Bosch Design Engineer for redundancy solutions. Version 3.0Previous versions are not supported. Free disk space 3 GB or more for Single Site Systems 5 GB or more for Enterprise Systems We recommend having minimum 15% free disk space. Free disk space 15 GB or greater We recommend having minimum 15% free disk space. Free disk space 500 MB + Video Storage We recommend having minimum 15% free disk space. This is a base license that enables 3 Cameras, 2 Workstations (1 Workstation with Forensic Search), 2 CCTV Keyboards, 2 DVRs. This is a base license that enables Enterprise capability, 2 subsystems (Management Server computers), 32 Cameras, 5 Workstations (each with Forensic Search), 5 CCTV Keyboards, 2 DVRs, 1 Mobile Video Service, support of: ATM / POS devices, 1 Allegiant Matrix, OPC Server for Bosch VMS BIS connectivity. 1 subsystem consumed for the Enterprise Management Server itself. This is a base license that enables 8 Cameras, 2 Workstations (1 Workstation with Forensic Search), 1 CCTV Keyboard, 1 DVR. All MBV-X* and MBV-F* can only be combined with the Professional Edition or Enterprise System. 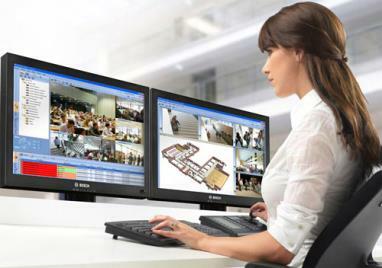 This is a base license that enables Enterprise capability, 2 subsystems (Management Server computers), 8 cameras, 2 Workstations (1 Workstation with Forensic Search), 1 CCTV Keyboard, 1 DVR. 1 subsystem is consumed for the Enterprise Management Server itself. This is a license that expands a base license by 1 encoder/decoder channel. Order the exact number required. This is a license that expands a base license by 1 Workstation. Order the exact number required. If required, order a Forensic Search license separately. This is a license that expands a base license by 1 DVR. Order the exact number required. This is a license that expands a base license by 1 CCTV Keyboard. Order the exact number required. This is a license that expands a base license by 1 Forensic Search. Order the exact number required. You need one license per Workstation, not per camera or encoder. This is a license that expands the Enterprise System base license by 1 Management Server as member of this Enterprise System. This is a license that expands a base license by 1 Mobile Video Service. This is a license that adds the capability to connect 1 Allegiant Matrix to a Management Server. This is a license that adds the capability to integrate ATM/POS devices. This is a license that adds the capability to connect Bosch VMS and Building Integration System (BIS). This is a base license that enables 32 Cameras, 2 Workstations (1 Workstation with Forensic Search), 1 CCTV Keyboard, 1 Mobile Video Service. This is a base license that enables 64 cameras, 4 Workstations (2 Workstations with Forensic Search), 2 CCTV Keyboards, 1 Mobile Video Service.